Ocean Star International Movers are approved by the Government GSA (General Services Administration) contractor programs, a licensed freight forwarder with the FMC (Federal Maritime Commission) and maintains an A rating with the BBB (Better Business Bureau). Ocean Star International Moving company is 100% committed to making sure your overseas moving experience is as smooth and pleasant as humanly possible. Our representatives and agents will do everything in their power to keep you satisfied and up to date with the progress of moving household goods or your freight shipment. Whether it is a corporate relocation, government or military relocation, auto transport, air freight, container shipping job, logistics or just plain old household move, we have been there and done that a million times. We offer the full range of shipping services. Everything from packing, shipping and import/export customs brokering. We can do door-to-door, port-to-port, door-to-port or port-to-door. We can ship your furniture, cars, motorcylces, boats, helicopters and just about anything else. If you need a 20′ container, 40′ container, or even just a few pallets of boxes, our international movers will get your stuff there safely. So who are you going to trust with your most valuable belongings? Do you really think you can save a few bucks to go with some no name shipping company that nobody has ever heard of? Is it worth the risk? If you research online, you will find many horror stories from families and regular citizens who trusted the wrong company and in some extreme cases ended up their household goods move being held for ransom in storage abroad with the fees increasing weekly. These kinds of things would never happen with Ocean Star International Movers. Our customer service is the key to our international movers success. Another feature that makes us stand out is our exclusive online tracking system that no other international shipping company can lay claim to. With Ocean Star International movers, all your paperwork can be uploaded to our system. You will receive a username and password to login with. All your documents will be organized online, you can login anytime to check on the status of your move and we send you regular emails with updates on exactly what part of the process your shipment is in. Sounds easy right? It is! 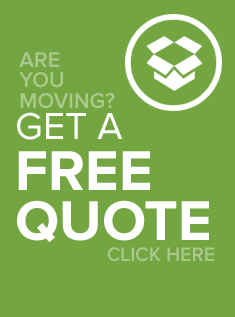 Contact us today or fill out our international movers quote form to speak to one of our qualified agents in regards to your move.